Warm welcome in clubhouse set the tone. Wonderful old style links course with a few blind shots here and there. Scored abominably but loved every minute, even though we played in a freezing cold gale. Would love to play it again in less inclement weather, if possible. Beautiful course. 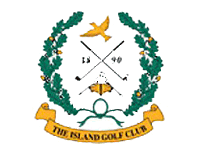 Situated on the fringes of Dublin, this classic championship links was founded in 1890 and until 1973 was accessed by boat from Malahide. It sits in a peaceful peninsula and is set among spectacular dunes. The layout is au natural with very little man made manicuring on show.